Charlotte’s mom takes it pretty well when she finds out about cursed dishes. 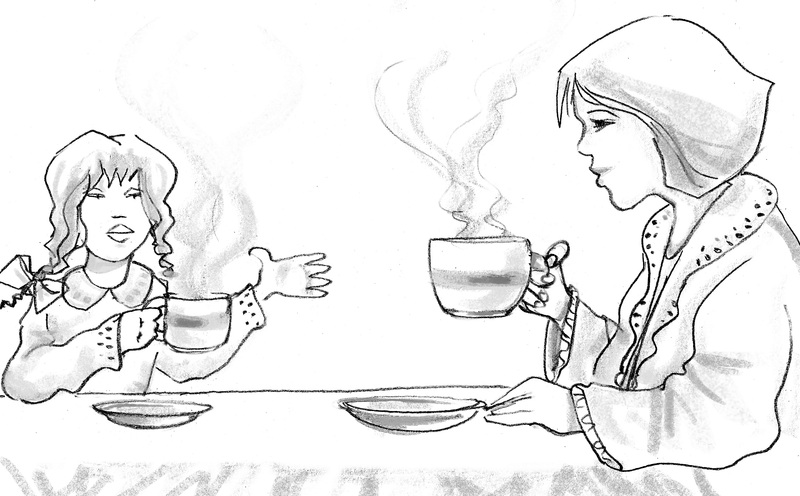 She and Charlotte sit down and drink hot chocolate, and talk it all over. If an adult in your family believed you, what do you think they’d do to help you with your curse? Would they get scared, and help you search the house? Would they get angry, and go with you to talk to the family member who cursed you? Draw what you think would happen for the Cursed Dishes Art Contest.